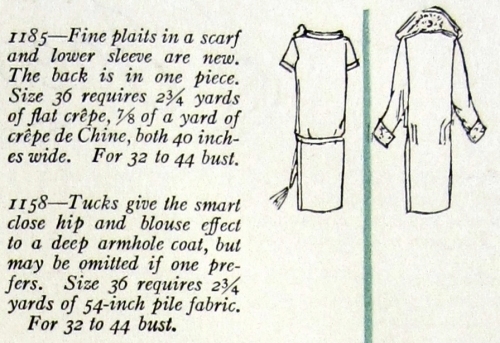 Hmm….you’ve got me wondering if fur pieces were offered in catalogs like Sears. I’m constantly amazed by what you could find in early catalogs, including wigs and hair pieces. 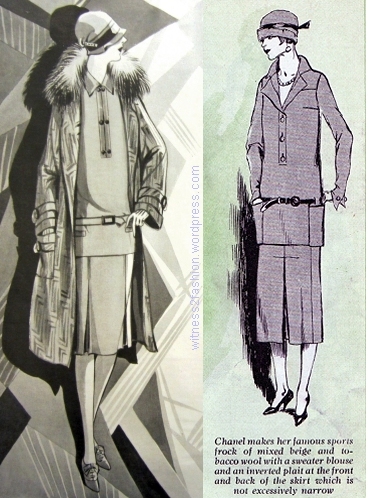 I love those twenties coats, but have always wondered how they would hold up in a stiff wind. 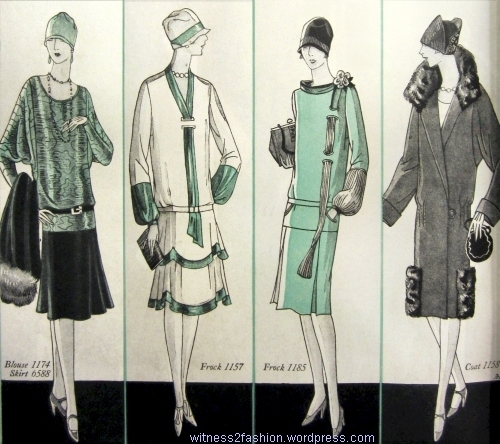 I’ve seen accessory furs in Everyday Fashions, like those pitiful little foxes with beady glass eyes; I should go to the library and look for some complete Sears catalogs from the 1920s. Thanks for the idea! 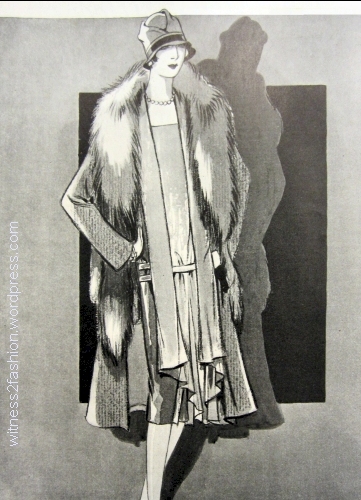 There were wholesalers dealing in furs, furriers, tailors and professional dressmakers working with fur. I have read one account of remnants being collected from furriers – in Europe – and resold. In the major cities furs could be acquired fairly easily. Fur farming existed in the US I believe from the late 19th century and rabbit fur was very popular,cheap and could be dyed to resemble a more exotic fur. Home dressmakers in smaller North American rural towns could obtain locally sourced skins. 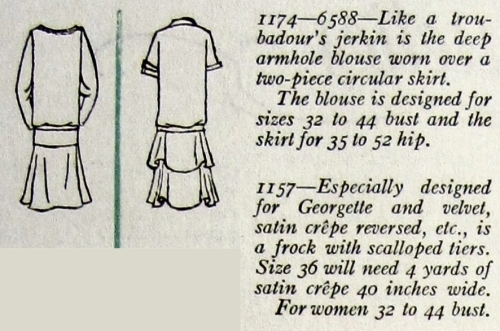 Haberdashers may have sold fur trimmings and remnants. I’m thinking of hand mufflers. 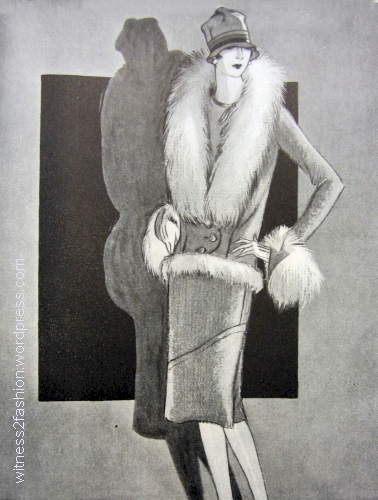 The 1920’s also saw fake fur produced from the alpaca. 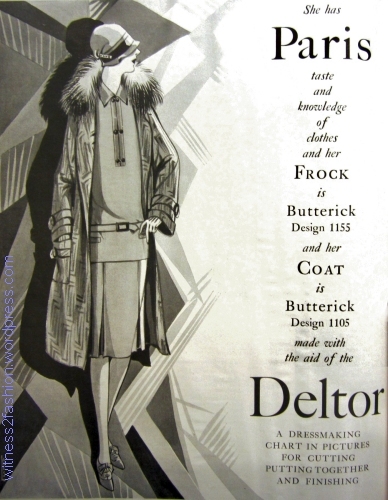 I have not come across catalogues from the period showing fur pieces sold for dressmaking.